Every company wants to make social media an essential component of marketing, communications, lead generation and customer support programs. If you are responsible for social media efforts at your company, this means you will be running more initiatives, tracking results more closely and involving a whole lot more people in your efforts than ever before. That is a whole lot of work heading your way. 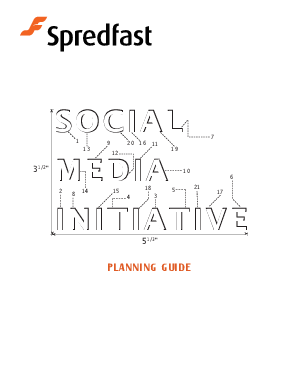 Fortunately, we have a framework, our Social Media Planning Guide, that will help you plan out everything from high level social media strategy and communication to day-to-day social media best practices.